Beyonce and Jay Z took the stage today, where they performed sets from the On The Run 2 Tour. However only the first 25 minutes were streamed. You can watch the set below and see pictures in the gallery. See what Beyoncé Knowles Carter thinks about gender equality and let us know your opinion! Fifa World Cup 2014: Beyoncé to Highlight Opening Ceremony With Paul McCartney? Speaking of banner years, Beyoncé definitely had a great 2013, and it looks like her 2014 will be just as busy and prosperous. Hot on the heels of the platinum success of her latest album, the rumors have begun swirling that Mrs. Carter will be performing at the 2014 World Cup with legendary Beatle Paul McCartney! The rumors first began swirling back in September, when a reputable Brazilian reporter broke the news. 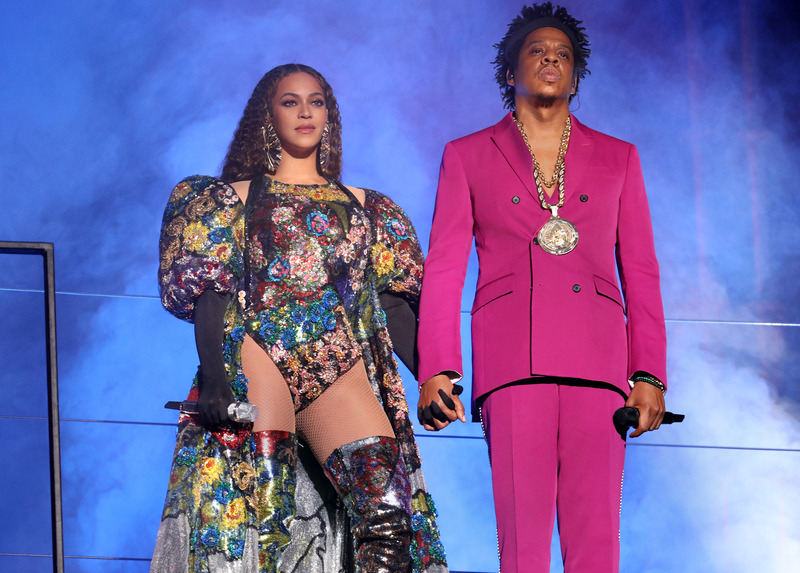 His word was taken seriously because he was the first, and the only, Brazilian reporter to correctly report about Beyoncé’s tour of the country at the time…. After spending the week in Paris to support husband Jay-Z and get some down time, Beyonce was spotted with Blue arriving at Bourget Airport in Le Bourget, France earlier yesterday. Beyonce showed she was all ready for the “summer time” yesterday when she was spotted in a funky bright yellow outfit in Paris with husband Jay-z. They were pictured by paparazzi while going in and out of the hotel enjoying what the largest city in France has to offer. Beyonce was pictured today by paparazzi in Paris while leaving her hotel with husband Jay-Z and their baby Blue Ivy. This is the first time we could see the complete family all together. Jay was the one holding little Blue while Beyonce was looking hot wearing pink pants!